It’s hard to think of a more trusted business category; we have come to regard our banks with such absolute confidence that when we get an email showing a bank’s logo, we probably won’t think twice about opening it and following the instructions it contains. 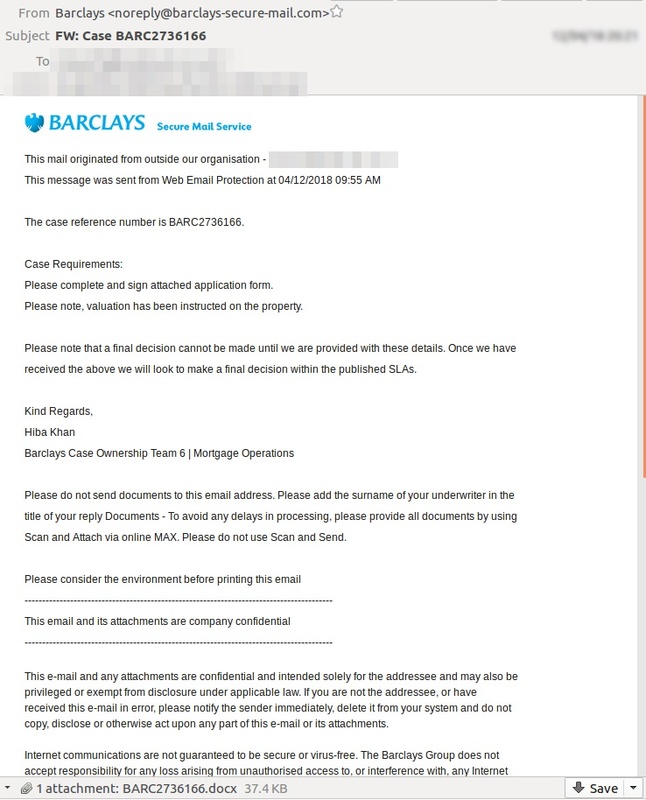 Today MailGuard has intercepted a new email attack (shown in the screenshot above) exploiting the trademarks of Barclays Bank, a major international financial institution. This scam message has a .doc file attached to it, and if opened, the file will deliver malware to the victim’s computer. 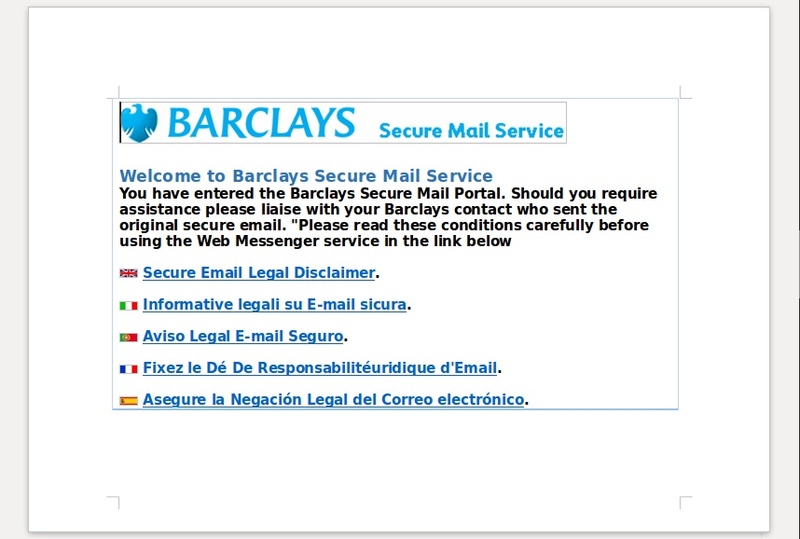 Please keep an eye out for this scam, and be sure to check any communications from Barclays for authenticity before clicking them open. If your company’s email accounts aren’t protected, brandjacking emails are almost certainly being received by your staff. Cybercriminals know we can be tricked; that’s why they send out millions of scam messages and put so much effort into making them look convincing. People are not machines; we are all capable of making bad judgement calls. Without email filtering protecting your business, it’s just a matter of time before someone in your organisation has a momentary lapse of judgement and clicks on the wrong thing. For a few dollars per staff member per month, you can protect your business with MailGuard's predictive email security. Talk to an expert at MailGuard today about making your company's network secure: click here.